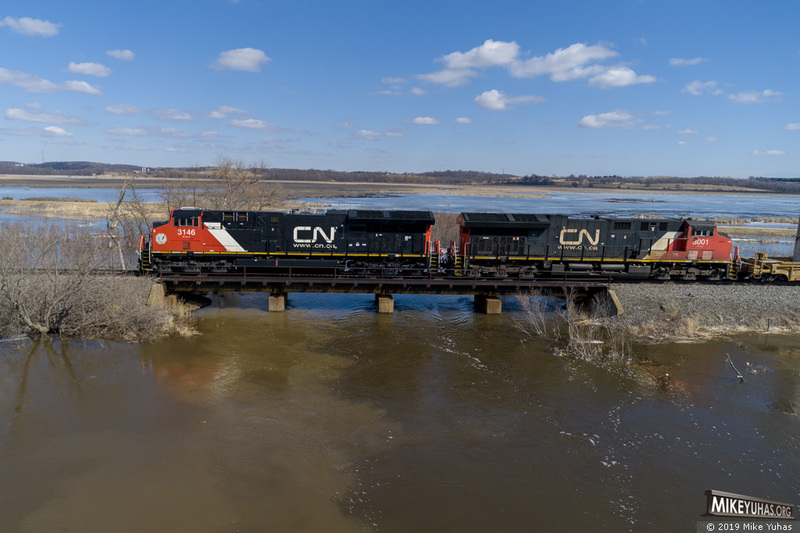 A northbound intermodal train speeds over Theresa Marsh and the Rock River. Fairly new CN 3146 leads an older Tier 4 unit. Train data: Q19771-16; CN ET44AC 3146, CN ET44AC 3001; 43 loads, 0 empties; 4,026 tons, 8,539 feet.